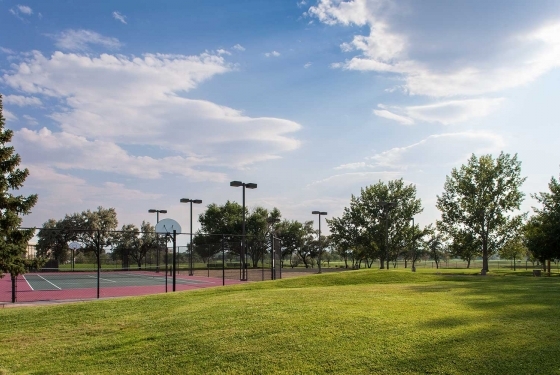 The DoubleTree by Hilton Grand Junction is situated on 10 acres adjacent to the Bookcliff Country Club and truly has a resort feel with a convenient highway access and big city conveniences. The outdoor areas can be used for anything from formal receptions, to teambuilding exercises to picnics. With 350 complimentary parking places, it is also ideal for car and bike groups. 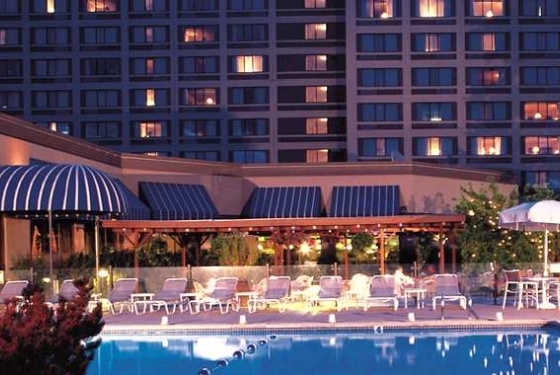 Flexibility and service happen at the DoubleTree. Our 13,000 square feet of meeting space includes the possibility of 12 breakout rooms, easily accommodating groups from 10 to over 400, as well as tradeshows. Our Peachtree Terrace is just outside the Ballroom so picnic lunches or early evening receptions are near to your meeting room. Guests enjoy the convenience of our 24 hour Precor fitness center and complimentary business center. 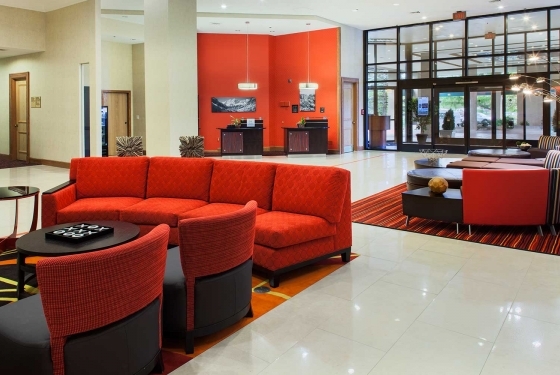 Whether you come to town for a festival, to explore the any biking trails or a serious meeting, make the DoubleTree by Hilton your headquarters and earn Hilton Honors points for your stay. 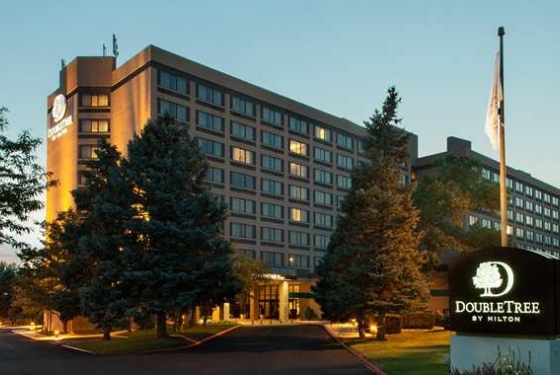 With the most conference space of any hotel in the area, DoubleTree by Hilton Hotel Grand Junction is the premier choice for your large or small event. Our conference center has just under 13,000 square feet of flexible space with a Grand Ballroom and Grand Parlor that can each be divided into four individual meeting rooms perfect for breakout sessions and classroom training. 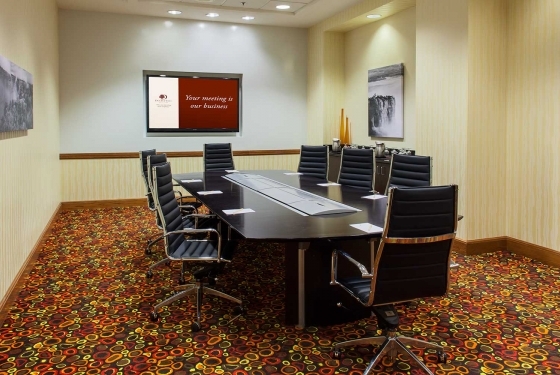 Our Executive Boardroom is handsomely appointed with leather chairs and a wood conference table perfect for intimate board meetings for up to 14 guests, and our Grand Ballroom can accommodate up to 550 guests in a theater configuration. Whether you require space for one on one meetings to gatherings of 500+ guests, we are able provide the appropriately sized space. 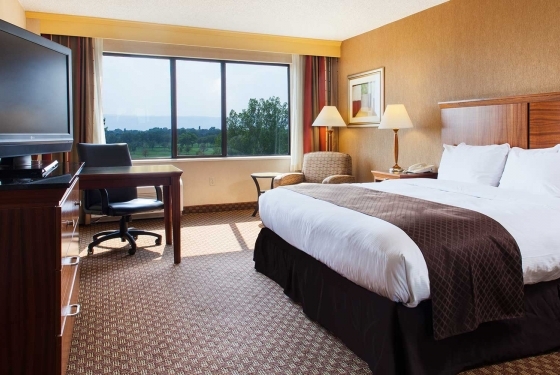 Whether you’re in town on business or vacation, with a group or for an extended stay, DoubleTree by Hilton Grand Junction Airport hotel has the luxury accommodations you seek. With our Sweet Dreams® by DoubleTree Sleep Experience, you’ll rest easy on a custom-designed, plush top mattress with down pillows and comforter and luxury 250 thread count linens. In addition, our 273 newly renovated rooms with plush carpet, upscale furnishings, granite counter tops and curved shower rods offer an inviting atmosphere for a comfortable, relaxing stay. 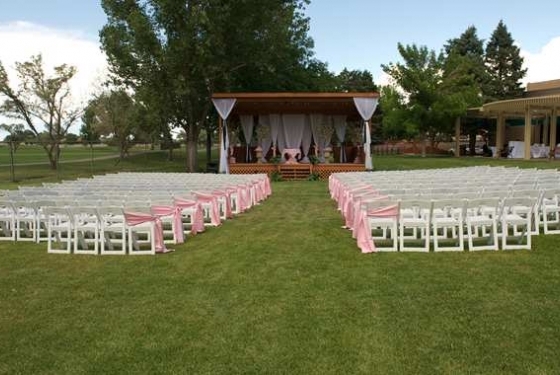 The Doubletree by Hilton in Grand Junction would love to be a part in coordinating the most beautiful wedding day you can imagine. 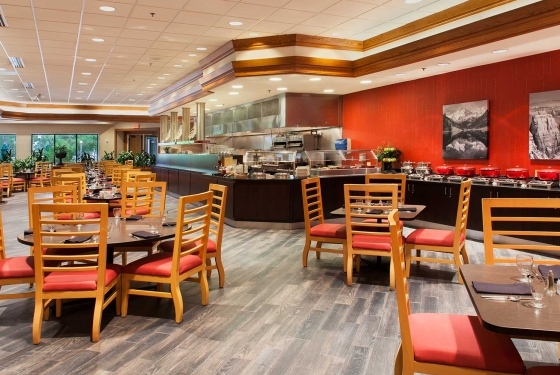 You will find that the staff at the Doubletree in Grand Junction takes pride in providing outstanding service beginning at the planning stages and following through until your very last guest says goodbye on your wedding day. We believe that the planning of your wedding should be fun, organized and relaxing for you and we are here to provide that experience for you and your fiancé. 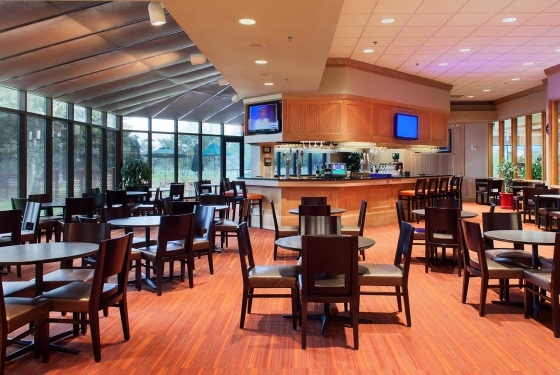 The Doubletree by Hilton in Grand Junction works closely with local vendors to offer a “one stop shop” experience, having the ability to not only choose a venue but also book your DJ, Flowers, Linens and more. The onsite Wedding Coordinator and the rest of the experienced team will be there to ensure that everything goes according to plan during the ceremony and throughout the reception. Our personal goal is to make sure you and your loved ones are relaxed and enjoying yourselves the whole way through. We are excited to introduce the 2016 Wedding Packages complete with Dinner choices, venue space and many complimentary services including an onsite Bridal Ready Room, Linens, Centerpieces, decorative chargers and a Honeymoon Suite. 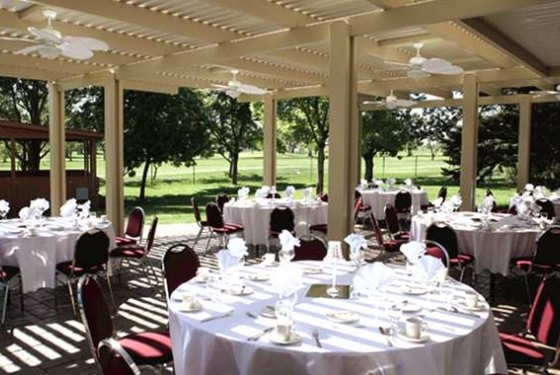 The Doubletree by Hilton in Grand Junction has three premium outdoor ceremony and reception spaces along with a newly renovated Grand Ballroom and a smaller, more intimate space called the Kokopelli Room. The gorgeous indoor venues and the 10 acres of lush landscape can provide you with a small romantic wedding for your close family and friends or an extravagant event that will accommodate all of your guests. The Wedding Staff at the Doubletree invites you to come in and see all of the amazing services that are provided as well as the Venue Space, please contact the Sales Office to make an appointment. Again, Congratulations and we hope to see you very soon. For more information, please contact Kimberly Alderman – Catering Sales Manager / Wedding Specialist: 970-241-8888/Kimberly.Alderman@Hilton.com.